Ruiz, Aristides. Very Good. There's No Place Like Space: All about Our Solar System (Cat in the Hat's Learning Library (Hardcover)) by Tish Rabe, 1999-10-26. Picture book. Sewn binding. Cloth over boards. 48 p. Contains: Illustrations. Cat in the Hat's Learning Library (Hardcover). Intended for a juvenile audience. Ruiz, Aristides. Good. 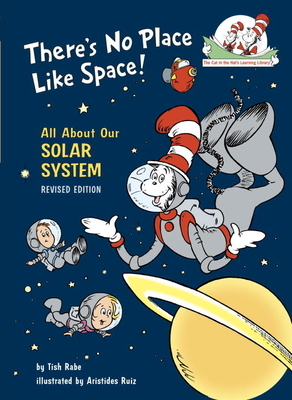 There's No Place Like Space: All about Our Solar System (Cat in the Hat's Learning Library (Hardcover)) by Tish Rabe, 1999-10-26. Picture book. Sewn binding. Cloth over boards. 48 p. Contains: Illustrations. Cat in the Hat's Learning Library (Hardcover). Intended for a juvenile audience.